I'm excited to announce the release of another book by award winning author, Christian Kachel. His first book, Spoils of Olympus: By the Sword, won First Place for Best Ancient History novel in the 2015 Chaucer Awards held by Chanticleer Book Reviews, won the Bronze Medal for Best Historical Fiction in the 2015 Reader’s Favorite Book Reviews and Award Contest, and was a finalist for Best Historical Fiction in the 2015 National Indie Excellence Awards. Expect plotting, treachery and military might in Christian Kachel’s absorbing sequel to his critically acclaimed debut novel that explores the little known age of post-Alexandrian Greece. World on Fire continues the story of a young man's coming-of-age through alliances, espionage and epic battles played out over the span of the known world. 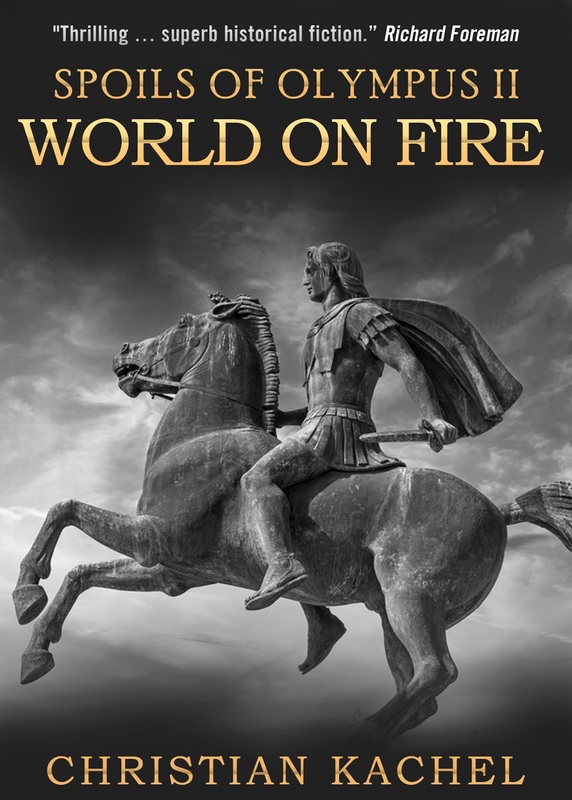 Readers are sure to be captivated as they are once again drawn in by Kachel's vivid depictions of the ancient world in this thoroughly researched historical narrative.